I've been an automotive technician since 1986. Over my career I've worked in a variety of positions at independent shops and managing vehicle fleets. My experience with automotive repair leads to customer satisfaction. Went way far and above for the job he had to do. He was very personable and did everything he could with the information given to him. Willie helped me diagnose what the correct issue was with my vehicle. Polite and professional. Knowledgeable and fixed my vehicle with no issues. This was my first time using YourMechanic and Willie made me comfortable about the process. Will book Willie again!! He did the job in a timely manner and he was very polite. The job was done to our satisfaction. Slow and very meticulous BUT done a well job. 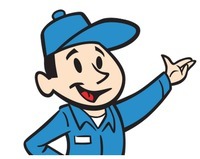 If anyone don't care about how long it takes, he is the one you should trust to fix your car. Willie had received the wrong oil filter for my vehicle, and was able to get the correct one and fix my car without charging me any extra. Willie was very patient and quick. He made sure that the job was going to get done correctly. He did a very good job with my oil pan replacement, I was very pleased. Thoroughly explained to us what he was going to do before and after the vehicle inspection. He's very polite and ON TIME! Very through. Explained everything. Great service! I would give him five stars for his service and nice personality. He came through for me and I appreciate that. Stumbled on the website looking for a pre-purchase inspection. They assigned Willy and we won Big. This guy is amazingly thorough, thoughtful and we found to be trustworthy! We definitely recommend Willy and will use him in the future.